"SOME ARE SOLDIERS, WE ARE GHOSTS"
Your unit is now ready to venture to Bolivia. Aboard different vehicles, you will dive into an amazing biodiversity and a rich and ancestral culture. But, you are not here for a holiday! The drug cartels have destabilized the region and your special ops unit has been deployed to make trouble in this organization. Ubi Workshop created the best equipment for your mission. 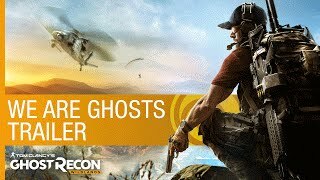 Discover the Tom Clancy’s Ghost Recon Wildlands – Dev team T-Shirt, and feel connected to the creators of one of the biggest open world games.